JYM Post JYM Active Matrix Review – Should you take it? If you were a well-known name in bodybuilding and fitness, you’d have no problems endorsing a product. Add to the fact that you have a Ph.D under your belt, and you’d have all the credibility you need to launch your own line of supplements. This is definitely what happened with Jim Stoppani Ph.D – from being a recognized name in fitness, Jim Stoppani launched his own line of bodybuilding supplements which include JYM Post JYM Active Matrix. JYM Post JYM Active Matrix is a post-workout supplement that combines BCAAs with Creatine, CarnoSyn, L-Carnitine, and L-Glutamine. This mixture is created to combine all the user needs to replenish the nutrients that the body has spent while doing intense workouts to prevent muscle catabolism. In this review, we’ll take a closer look at JYM Post JYM Active Matrix to figure out if it really has all you need in a post-workout supplement. When you work out, your body uses up a great deal of nutrients – nutrients that your body needs to grow. That’s why you need to replenish these lost nutrients to make sure that your muscle growth won’t stall. Amino acids, L-Glutamine, CarnoSyn and Creatine are all nutrients spent by your body when you work out, and JYM Post JYM Active Matrix has it all for your convenience. Who uses JYM Post JYM? JYM Post JYM Active Matrix has all you would expect from a BCAA matrix. It contains 3.6g L-Leucine, 1.2g L-Isoleucine, and 1.2g L-Valine for a total of 5 grams BCAA content. 5 grams of BCAA is slightly lower than what other products offer, but the combination with other ingredients may prove that the toned-down BCAA content may be actually worth it. JYM Post JYM Active Matrix contains 3 grams of L-Glutamine and 2 Grams of Creatine Hydrochloride – more than enough of your body’s needs to fuel your muscles and endure longer, more intense workouts. JYM Post JYM Active Matrix also contains Carnosyn which prevents muscle fatigue, and L-Carnitine that helps metabolize fat to fuel your workouts. 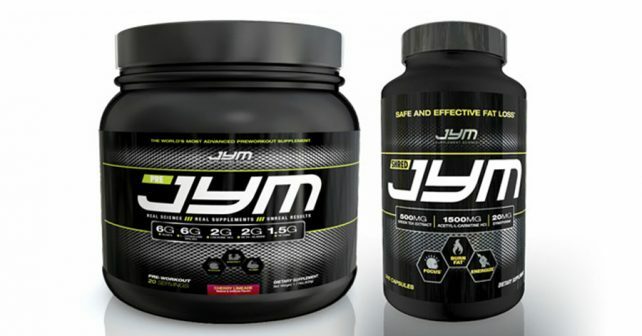 JYM Post JYM Active Matrix contains Betaine for improved muscle performance, and Bioperine to enhance absorption. At $35.57 for 30 servings, JYM Post JYM Active Matrix costs more than a dollar per serving, but considering all of the ingredients in the formula, it’s well worth it. JYM Post JYM Active Matrix is one of the best supplements for muscle growth in the market today, but the formula is still lacking the vascularity that most bodybuilders need. To maximize your results, take JYM Post JYM Active Matrix with NitroGenix 365 to enhance your strength, recovery, and endurance during workouts.